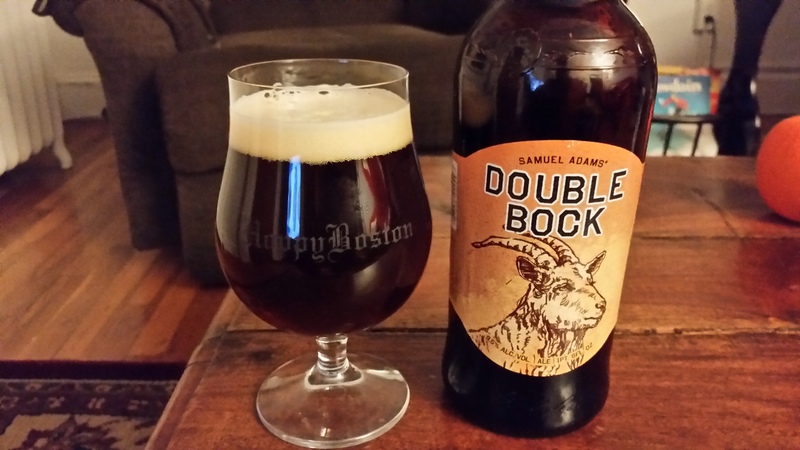 Earlier this week Andy Crouch wrote an extensive article on Boston Beer Company/Sam Adams, their founder Jim Koch, and the company’s place in the current craft beer scene. I highly recommend reading the article if you haven’t (find it HERE), it provides a number of different perspectives on the brewery, it’s history and the changing marketplace. After reading it I have a few opinions to add and thoughts that warrant more discussion. 1. The opening scene in which Jim Koch is berating employees at Row 34 for not serving his beer seemed a little contrived. You can find Sam Adams beers in 80-90% of the bars in Boston, why go out of your way to meet at a trendy local bar that doesn’t serve their beer? That being said, Jim Koch doesn’t come off very well in the scene, insulting the people working at the bar and the beers that they do serve. 2. The people interviewed from Deep Ellum and Lord Hobo about why they don’t serve Sam Adams also come across as a bit disingenuous. The main reasons they don’t serve the beer is that it is widely available, people go to those bars looking for new or hard to find beers, and they pay a premium price to drink them. 3. I don’t understand the obsession brewers have with craft beer snobs, referred to as “hipsters” in this piece for reasons I can’t understand (don’t hipsters drink PBR ironically instead of craft beer?). The people who only care about what is cool and hard to find, and obsess about those trendy beers, actually make up a very small portion of the drinking public. Unfortunately these few people also seem to speak with the loudest voices on social media and beer related sites. It is no wonder that the same people who can waste an entire Thursday waiting in line for a rare beer release also have free time to comment repeatedly on every single Beer Advocate thread. I have an entire post in the works on this, just haven’t had the time or energy to get all of my thoughts in order in a way that isn’t too insulting. 4. I am not sure what the future holds for Sam Adams, but this article neglects to mention that they are not only still making a boatload of money, their profits are growing. You’d think from reading the article that Sam Adams was a dying brand, but the opposite is actually true. Granted, a lot of this growth is in cider/tea (as the article mentions), but Sam Adams is the biggest craft beer brand in the country for a reason. 5. I enjoy many Sam Adams products, Boston Lager and Noble Pils are great and many others are very good, especially when you factor in the price point. I think Sam Adams will continue to dominate the market as a cross over brand for people who want more flavor and complexity than light macro lagers, but are not quite ready for DIPAs and sours. That is a huge number of people by the way, most of the craft beer enthusiasts I know started out drinking Sam Adams and similar beers before branching out. 6. If Sam Adams really wants to make a dent in the “beer snob” market they should take a page from some of their local competitors. Harpoon stays innovative with their 100 Barrel Series, small batches of experimental beers that are always interesting and often great. Sierra Nevada just did their beer camp where they did collaboration beers with smaller breweries from all over the country. If Sam Adams scaled back some of their non-canonical offerings (they make a ton if you didn’t know from their barrage of commercials) and focused on more innovation and collaboration they might make inroads with some of the people who think the brewery is too big to still be considered craft. Those are my major thoughts and takeaways, happy to hear anything you all have to add!